Three brightly colored and flavorful cuttlebones and ground calcium provide the essential calcium and trace minerals that all birds need. 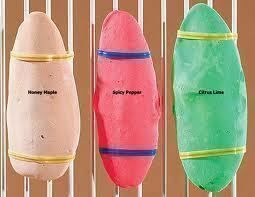 Flavors: Honey Maple, Spicy Pepper, and Citrus Lime. YUMMY!! Notify me when 3pk Ultimate Cuttlebone-Polly's Products is in stock.